Depending on the trim model, some luxury cars have that much-coveted chrome pillar post. Sadly, not all carmakers offer chrome pillar posts on their new models. If you like the look of chrome on your door pillar posts without spending too much of your hard-earned cash, you should install a set of QMI Pillar Post Trim on your ride. The look of shiny chrome on bright paintwork will make your car look more expensive and more luxurious. The best part about QMI Pillar Post Trims is that they are extremely easy to install. You don’t need to modify anything since each chrome trim is precisely made for a specific model of vehicle. No elbow grease is required, and you don’t need to use a drill. 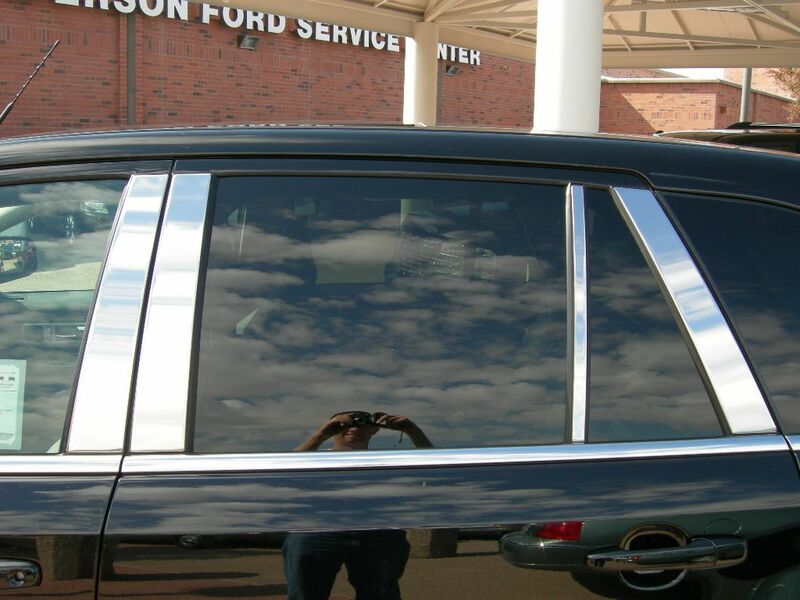 Custom made QMI pillar post chrome trim is designed to fit perfectly on any type of car, truck or SUV. Made from high-quality mirror-polished stainless steel for a brilliant and durable shine. Extremely easy to install without drilling and without using special tools. Comes pre-installed with industrial-grade 3M adhesive tape, simply peel and stick! Adds a beautiful customized look to your vehicle at an affordable price. Think your pillar posts look dull? Would you like to make your investment stand out from similar vehicles on the road? Sam’s Motorsports is offering the QMI Pillar Post Trim on a wide array of makes and models at a fairly affordable price. Sam’s Motorsports offers a complete array of QMI Custom accent trims for every car, truck or SUV. We have QMI Chrome Accent Trim, QMI Window Sill Trim, QMI Front Bed Caps, QMI side bed caps, QMI rocker panel trim, QMI Stainless Steel Gas Door Covers and a whole lot more. It is easy to get that chromed look on your door pillars and posts. QMI Pillar Post trim is the answer. Available for a wide array of cars, trucks and SUV’s. 1992-1999 Buick LeSabre QMI Chrome Pillar Post Trim, The QMI Chrome Pillar Post Trim is designed specifically to fit your 1992-1999 Buick LeSabre without any modification to your beloved Buick LeSabre. If this QMI Chrome Pillar Post Trim is not exactly what you are looking for to accessories your 1992-1999 Buick LeSabre, please don't give up just yet. Our catalog has huge variety of parts and accessories for your Buick LeSabre.